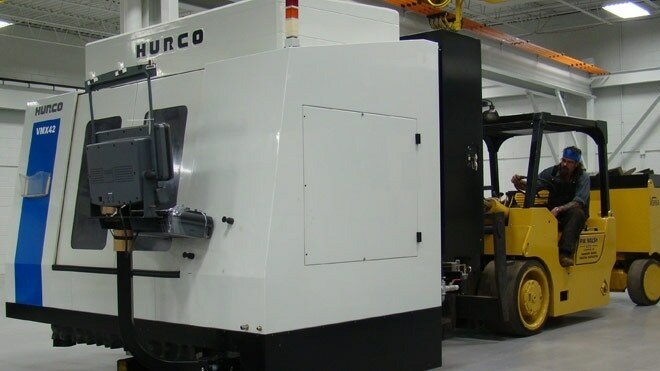 Second Hurco VMX-42 CNC Mill | KLH Industries Inc.
KLH has added a second Hurco VMX-42 to its steadily growing CNC machining department. While the second Hurco has many of the same specifications as the first Hurco, it comes with a few new bells and whistles. The new VMX-42 has a Windows-based controller for better networking and file management, as well as a greater degree of surface quality finish control. Full equipment lists, detailing machine quantities and sizes of all departments, are available by request only. Contact the Sales Manager at (800) 294-8363 x 252.